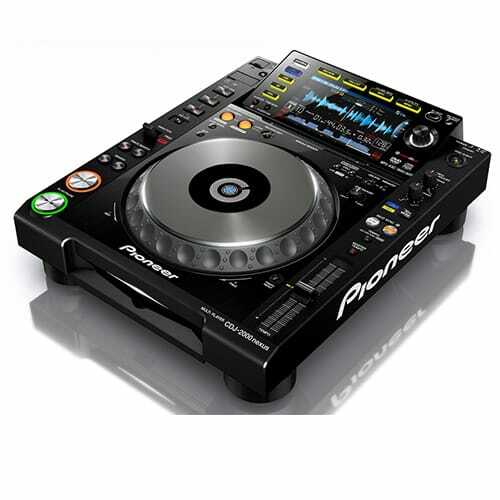 Pioneer’s flagship CDJ player, the CDJ-2000nexus, offers exciting features and technologies including industry-first Wi-Fi connectivity, compatibility with Pioneer’s new rekordbox App for iPhone, iPad, iPod touch, Android tablets, and smartphones, and new functions such as Beat Sync, Wave Zoom and Slip. Newly enhanced features inherited by the CDJ-2000nexus include a selection screen interface for a more intuitive music search experience, increased visibility of the needle search pad, and improved master tempo sound quality. 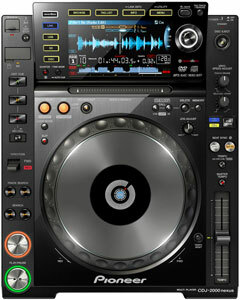 The CDJ-2000nexus can utilize different music sources, from a hard drive to USB thumb drive and/or SD memory card–and now for the first time, you can use an iPhone, iPad, iPod touch, Android device, or a computer as a source via Wi-Fi. Using Pioneer’s rekordbox App to create playlists, cue/loop points, beat location settings, waveform analysis and more, you can temporarily transfer the content wirelessly through Wi-Fi to the CDJ-2000nexus. You can also perform the same wireless function with a Mac/PC utilizing the rekordbox music management software. Supports MP3, AAC, WAV, and AIFF audio files on CD, DVD-ROM, SD cards, USB and over Wi-Fi. Pro DJ link lets you sync up to 4 CDJ-2000nexus players to share one audio source. With the included rekordbox music management software installed on a computer, you can organize and catalog your entire music libraries. Newly added features available when rekordbox is used with the CDJ-2000nexus include music file analysis functions such as Wave Form Zoom (wave form expansion) and Key, as well as additional settings such as Active Loop and Hot Cue Auto Load. The CDJ-2000nexus features a large, full-color WQVGA 6.1-inch (480 x 234) LCD panel for displaying song titles and album art as well as detailed track information. The Wave data of each song is also illustrated on screen and the new Wave Zoom function provides five different levels of magnification of the wave data which are color-coded according to bandwidth. Beat Sync–Tempo and beat location of music currently playing on one of the device can be matched with the push of a button. Traffic Light–Shows the keys of music being played by any players connected via Pro DJ Link, making key-compatible music easier to find by a different color indicator. Beat Count and Phase Meter–The Beat Count, which is the number of beats until a set point (memory cue), and the Phase Meter, which shows the beat/bar of the music, can also be displayed simultaneously by other players. When activated, Slip Mode silently continues song playback during a loop, reverse or scratch and continues audible playback at the exact time when the loop, reverse or scratch is ended, resulting in smoother transitions. Utilizing a Quantizing feature, cue points and loops can be set perfectly on-beat. The Quantize feature ensures cue points are set accurately and automatically, correcting and synching beats during manual looping or real-time cueing to reduce off-beat mistakes. Featuring a 6.1″ full color LCD panel and graphic user interface. The function settings of a player can be saved to an iPhone, iPad or iPod touch, USB storage device, SD memory card, or other device. For additional convenience, the settings can also be can be made ahead of time on the rekordbox App or software allowing you switch to your settings when a connection is made to the CDJ-2000nexus. To achieve excellent sound quality, the player is equipped with the audio industry’s highly respected Wolfson DAC processor, delivering a very transparent, accurate audio signal with a highly improved signal-to-noise ratio and increased headroom. Up to 35 controls on the surface of each player can be used to trigger other devices, such as DJ effectors and software, by way of HID and/or MIDI. The Active Loop feature automatically starts loops when playback begins from a specified point. 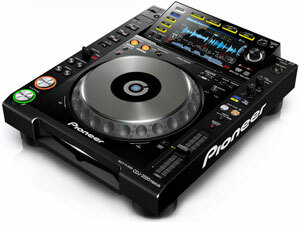 The touch pad lets the DJ “place the needle” and jump quickly to a specific part of a music track. Load Previous Track allows playback of prior music that has been loaded to the player (no built-in memory). You can rate tracks during play for easy reference or sorting using the built-in Rate feature.